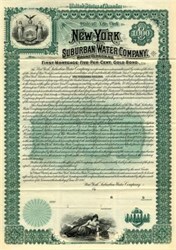 Beautifully engraved RARE Specimen Gold Bond Certificate from the New York Suburban Water Company printed in 1895. 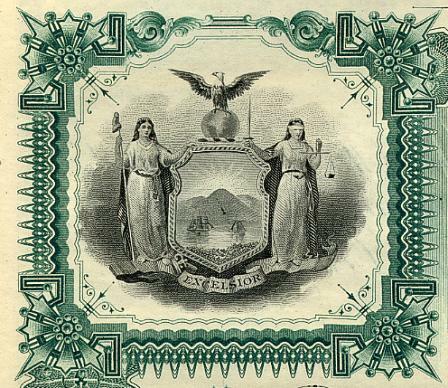 This historic document was printed by the Franklin Banknote Company and has an ornate border around it with a vignettes of the New York State Seal (top) and a maiden by water (bottom). This item is over 110 years old and the only one we have seen for sale. 60 coupons attached on top.